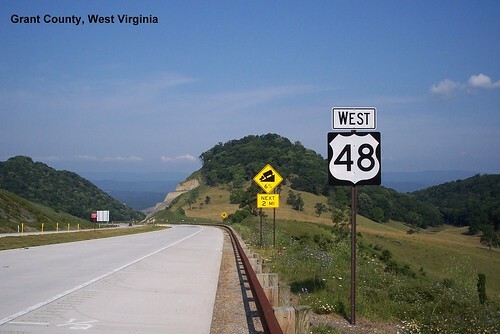 US 48 entering West Virginia. 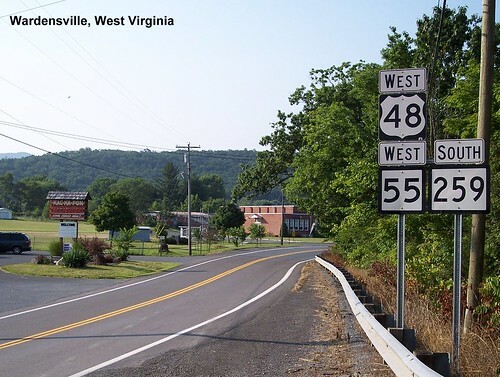 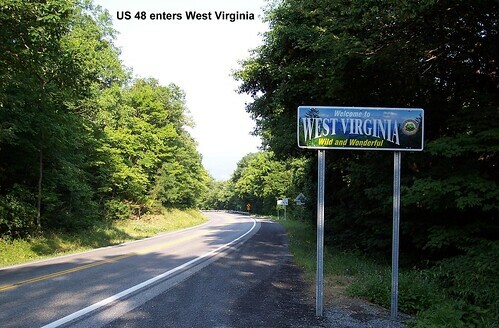 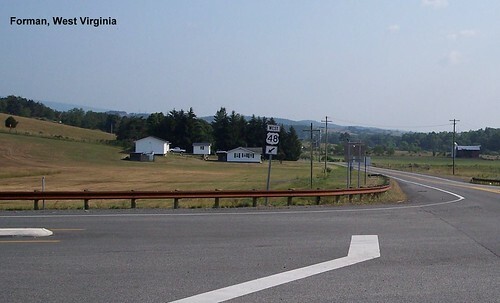 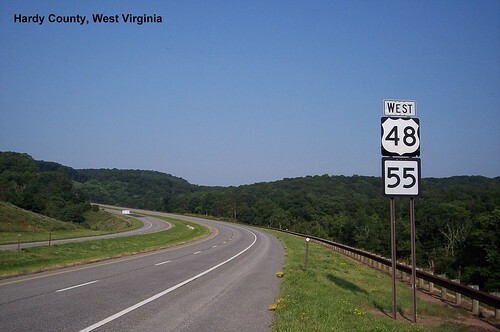 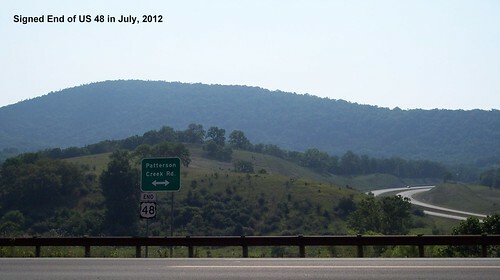 The easternmost section of US 48 in West Virginia is a two-lane road. 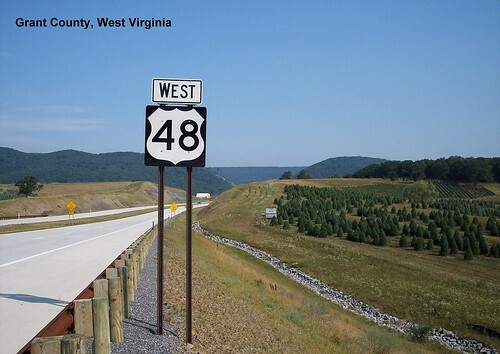 Most of US 48 in West Virginia is a new highway. 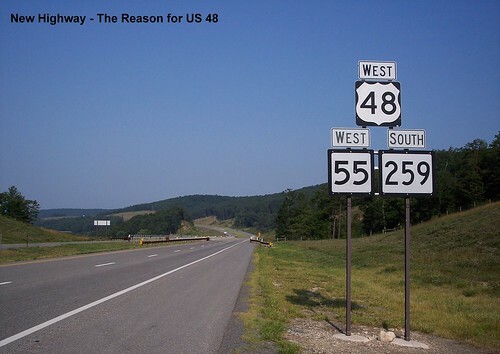 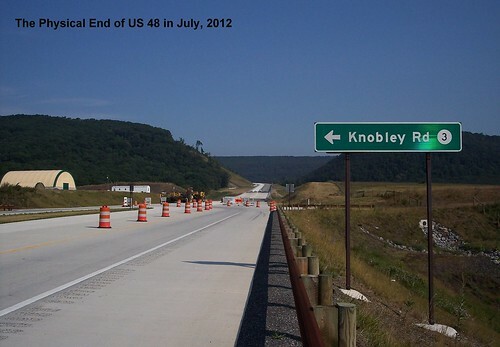 When we drove the route in 2012 this was signed as the end of US 48. 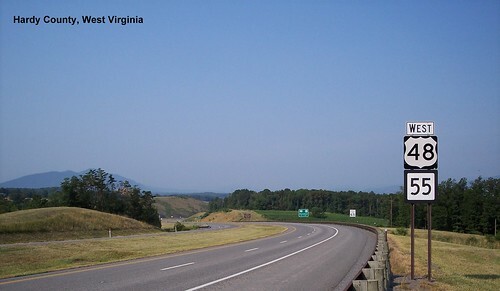 It was possible to continue a little further west on the new highway though.